We will learn about all types of symmetry of various shapes in geometry. 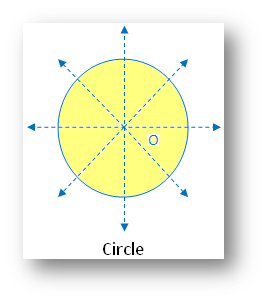 The explanation will help us to understand the different types of symmetrical shapes which possess or does not possess linear symmetry, point symmetry and rotational symmetry. 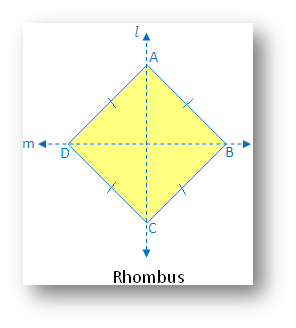 Name and draw the shape which possesses linear symmetry, point symmetry and rotational symmetry? (iii) Rotational symmetry possesses rotational symmetry of order 2 about O. (i) Linear symmetry possesses 2 lines of symmetry. 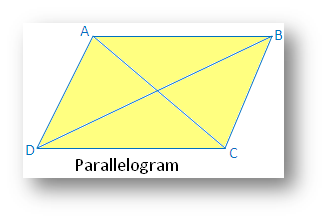 Line joins the mid-point of 2 parallel sides. 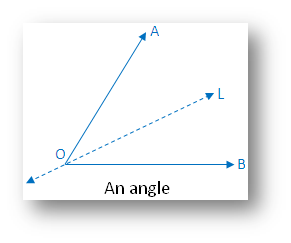 (ii) Point symmetry possesses point symmetry with point of intersection of diagonals as the centre of symmetry. (iii) Rotational symmetry possesses rotational symmetry of order 2. 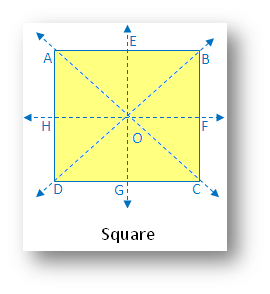 (ii) Point symmetry possesses point symmetry with point of intersection of diagonals as the center of symmetry. (i) Linear symmetry possesses 4 lines of symmetry, 2 diagonals and 2 lines joining the mid-point of opposite sides. 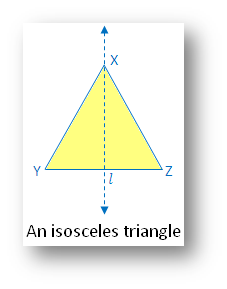 (ii) Point symmetry possesses point symmetry with point of intersection of diagonal. (iii) Rotational symmetry possesses rotational symmetry of order 4. 2. 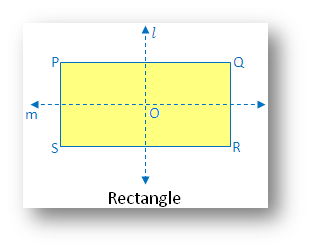 Name and draw the shape which possesses linear symmetry but no point symmetry and rotational symmetry? 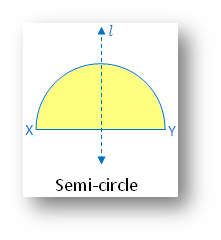 (i) Linear symmetry possesses 1 line of symmetry i.e. 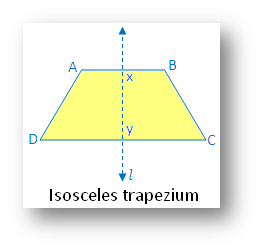 perpendicular bisector l.
(i) Linear symmetry possesses 1 line of symmetry. 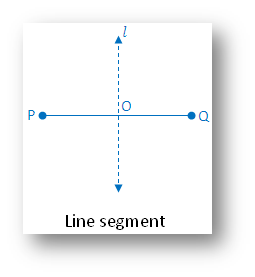 Line XY joins the mid-point of 2 parallel sides. 3. Name and draw the shape which possesses linear symmetry and rotational symmetry but no point symmetry? 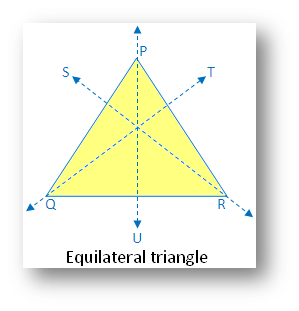 (i) Linear symmetry possesses 3 lines of symmetry i.e. 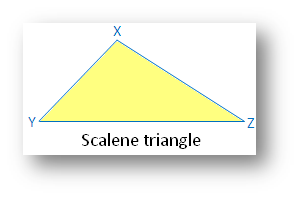 the 3 medians of the triangle. (iii) Rotational symmetry possesses rotational symmetry of order 3. 4. Name and draw the shape which does not possess linear symmetry, point symmetry and rotational symmetry? 5. Name and draw the shape which does not possess linear symmetry but possesses point symmetry and rotational symmetry?